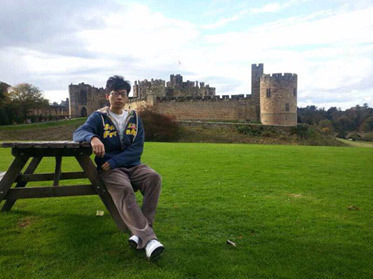 Mr. Zhang graduated from Taiyuan University of Science and Technology, and he is studying at Coventry University for a MSc Electrical Engineering Degree. When I was busy with my final year dissertation, my friend had already got a conditional offer from a top UK University. I was shocked how early he started to prepare and I was jealous and frustrated because it was too late for me to apply. He gave me Lisa’s contact, believing she could definitely help me. Lisa didn’t let me down, after a long talk, she quickly gathered my transcript, recommendation letter, PS etc. It surprised me when she sent me two conditional letters within three weeks! Although my IELTS test result was not ideal due to lack of time, but Lisa found a 12 weeks pre-sessional English course for me, which is perfect for me to improve my English level before the major courses start. I have finished nearly quarter of myEnglish course in Coventry University till now, and everyday there are surprises waiting for me, the students’ initiative and creativeness are paid more attention in class, when the different cultures clash I was prepared because Lisa explained to me the cross-cultural communication before I came to UK. I am so glad Lisa helped me getting through the whole application, and I learned a lot from her, she was so nice and continually talk to me about everything I need to be aware. It was an amazing experience, and I am enjoying every day in Coventry University. Ms. Luo is studying at Queen Mary, University of London. Lisa is a friend of my Mum, so when I told my Mum I was willing to go abroad for a mater degree, my Mum asked Lisa for advice. I have to say she helped me plan my life, not just for study, but also my career life. Her clear thinking and comprehensive analysis gave me very helpful advice. Under her guidance, I started to think about where my interest and potential are, I started to take every chance to actively take part in every chance of internship, trying to find out what I am good at, and in Year 3, I selected as my major and found a couple of UK universities which suit my needs. The first thing I came to University is to find Student Union, register for internship positions, and go to Career Centre to register for career advice and job alert. I am confident that I will get a satisfactory job before I graduate, and this confidence is from Lisa. 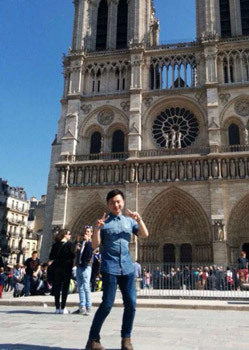 Mr. Chen graduated from Chengdu University of Technology, and he is studying at King's College London. I am always a confident person because I have report cards that stung me with pride, stunning internship experiences, and strong recommendation letters from renowned professors, which made me feel no doubt to apply for a top university without any help.But the first day I came to UK my confidence was destroyed. Before coming to UK, 4 of us rented a house near the university, but when we arrived the house was far worse than what it showed on the photos, to make it worse, we couldn’t even get our deposit back. While I was about to give up asking for our deposit, I thought of Lisa. Lisa immediately gave me her friend’s phone number for me to contact, and her friend in the UK talked to the landlord on behalf of us and one day after we got our deposit back.Her friend also helped us to find a nice place to live through a proper property agency. Now we live in a beautiful house next to the university. Lisa promised us a hassle free life in the UK, and she did it. 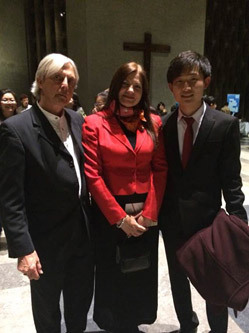 Mr. Yang graduated from Xi`an University of Science and Technology, and he is studying at Warwick University. I have done a lot of work when selecting a good agency to help me with my application for a UK university. A lot of big agencies were on my list, so when my friend recommended me talking to Lisa, I was not willing to. However after a number of calls,I decided to choose Lisa as my counsellor. Unlike some counsellors, she is often very candid, thoughtful, and sincere. She helped me find out what was the best for me, not what was the best for her interest, which is very rare. I have to say she is like a personal tutor for me, even after successful application, she always gave me a call to remind me for IELTS test, apply for an internship position, assignment skills, things to be aware when renting houses, etc. She has become a good friend of mine,rather than just a counsellor.